You are aware that without a 3 star lock then 10 seconds after a burglar walks up to your door they will be inside your house (and you probably didn’t even hear it whilst being in bed). We have added images as well (you don’t want to remove the lock to determine if it’s on the list) but the 3 stars are a good giveaway your home is safe (or not if you don’t have the 3 stars). It should have a horizontal keyway to be safe-well as you can see that’s not true. 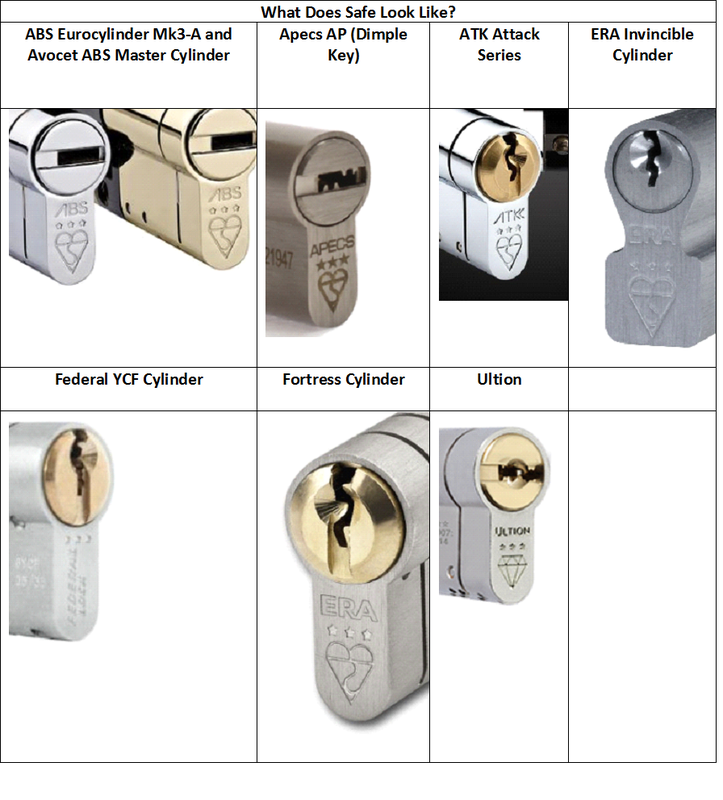 To note some locks have horizontal keyway that are not safe against lock snapping. It should have a dimple key to be safe. Again you can see that’s not true. At Dawson-Sawyer Locksmiths we are licensed with Brisant who, we believe, have the best product. Dawson-Sawyer Locksmiths are probably more affordable than you think.